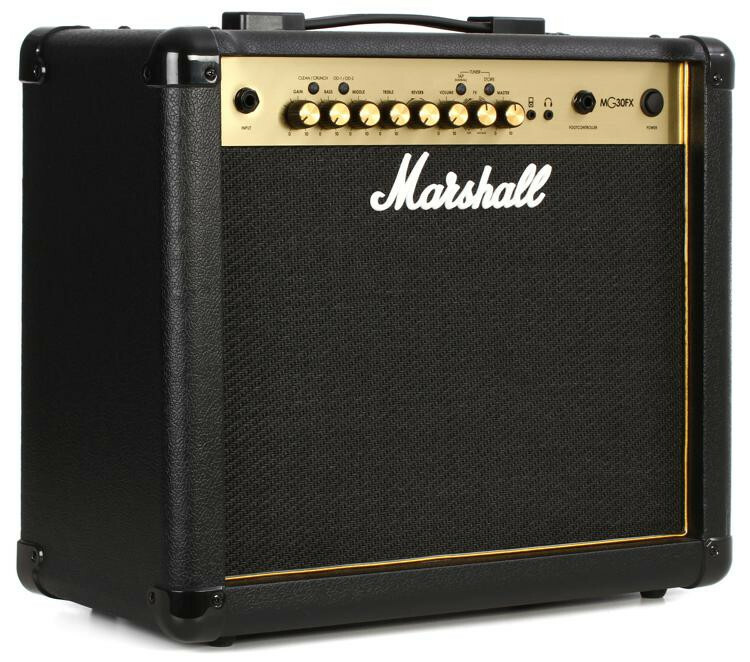 A Massive Sounding Marshall Combo! 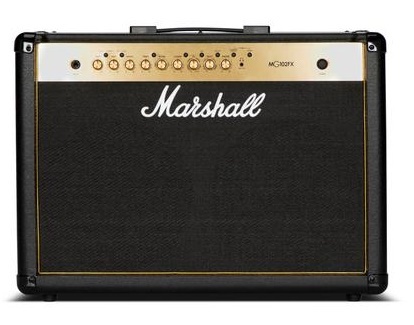 Marshall is one of the most famous amp brands in the rock world today. 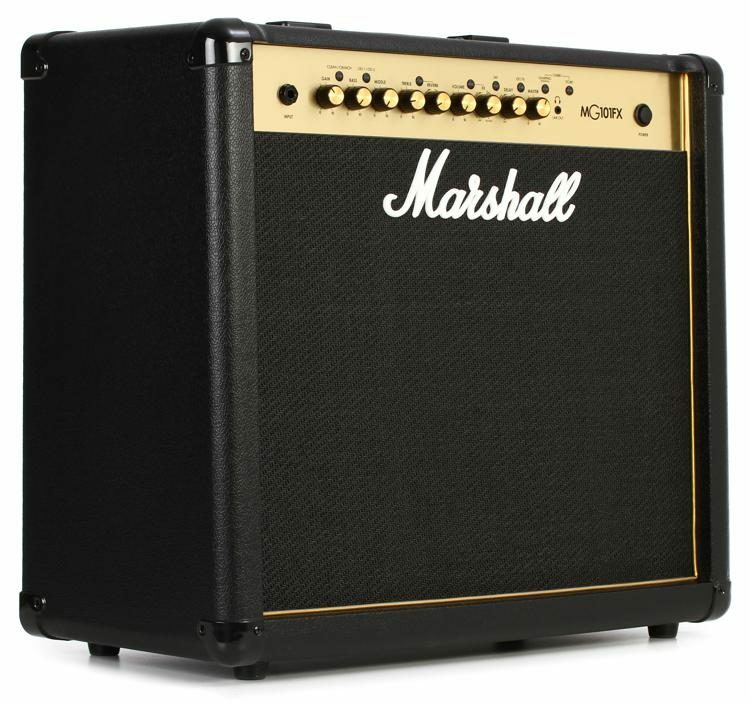 The Marshall MG102CFX brings all that rock n' roll glory to your rig. 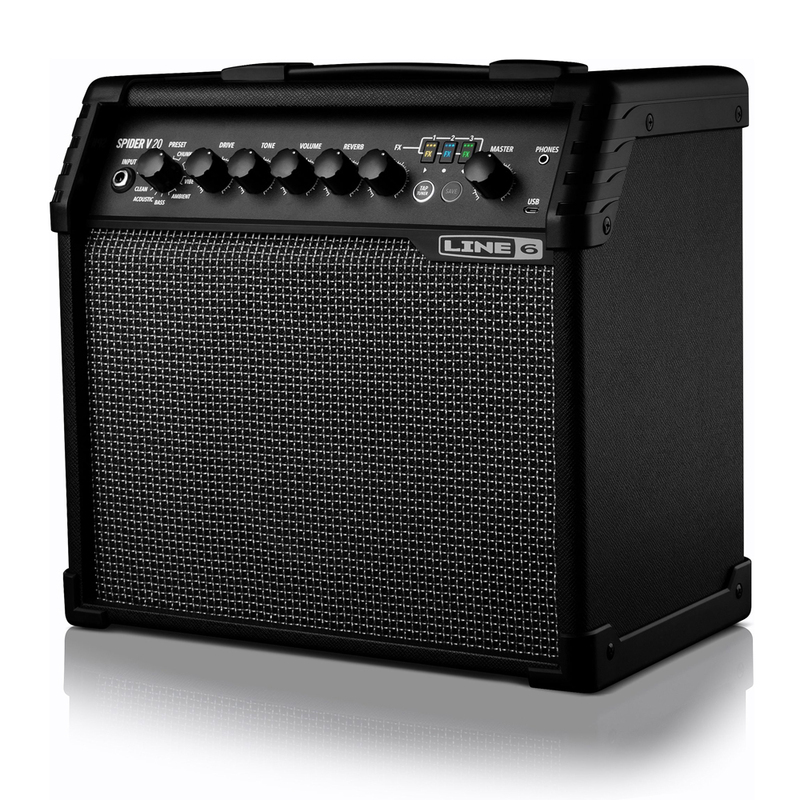 You get four, yes four, different channels in this amp - Clean, Crunch, OD1, OD2. Each channel is programmable, so you can save them as their own presets. On top of that, you get a digital effects section featuring: Chorus, Phaser, Flanger, Delay, Octave+, and Reverse Delay, you can add these to your channel presets to sculpt that perfect tone. 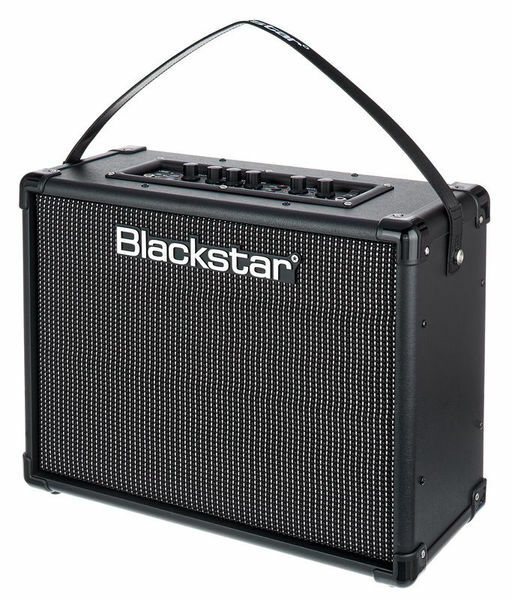 At 100 watts the MG102CFX will easily be heard at any gig. 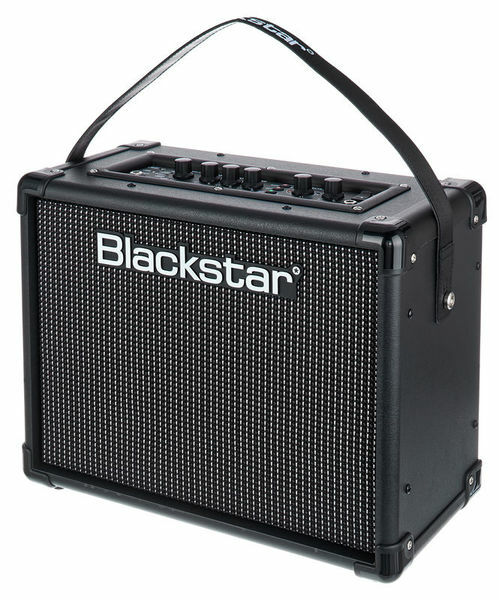 This amp is a screamer. 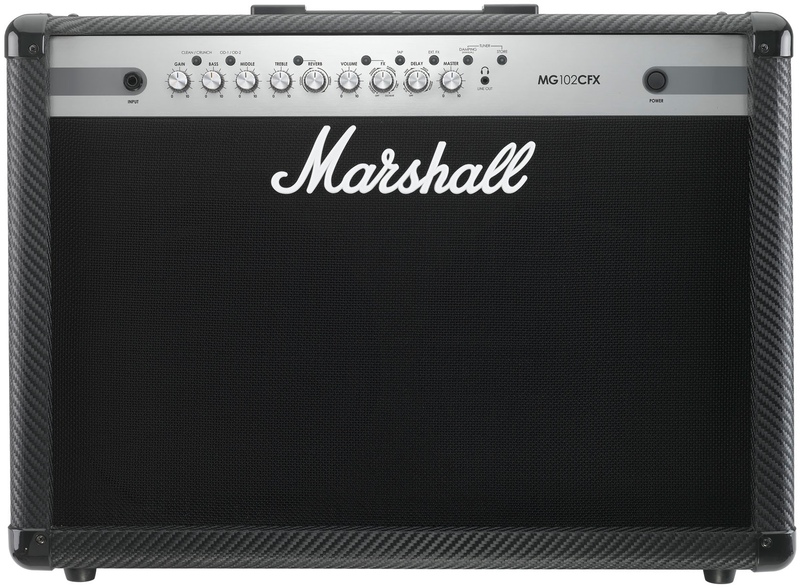 There is also a built-in MP3 input so you can jam along with your favorite recordings. 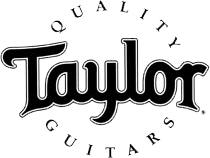 A headphone jack lets you jam away in the wee hours of the night without disturbing the neighbors. 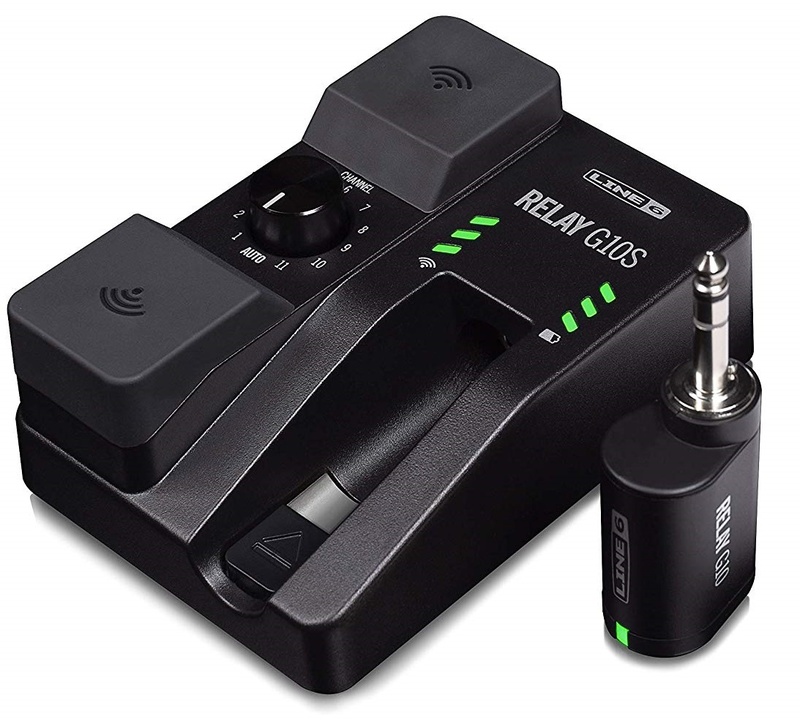 The headphone output doubles as line out for recording. 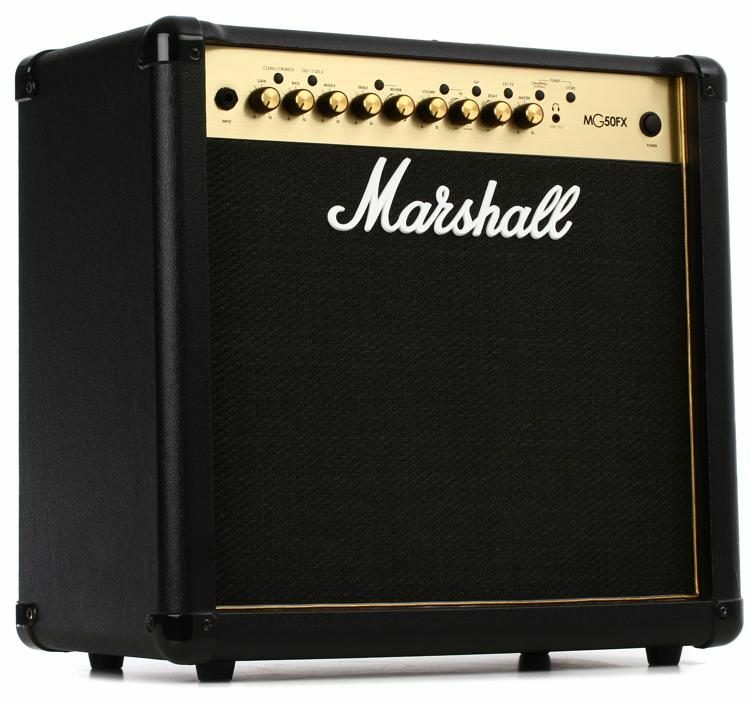 Grab a Marshall MG102CFX, plug in, and start wailing away!